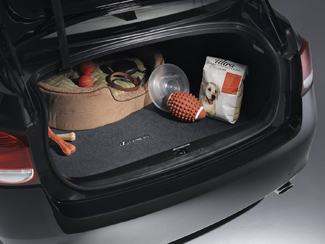 Lexus trunk mats preserve your vehicle's interior while providing an extra cushion for your valuable cargo. Made of thick, heavy-duty carpet and backed with a non-skid backing. Mats are cut to fit the shape of the trunk precisely..